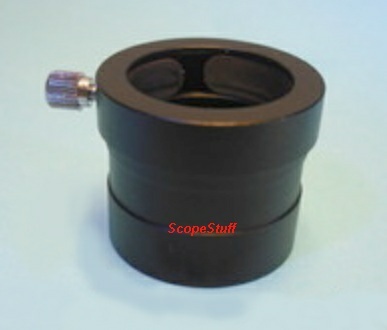 Aluminum adapter with brass compression ring holds .965"
eyepieces and accessories and has a 1.25" male barrel. 1.25" barrel is 0.75" long and is threaded for 1.25" filters. Price includes FREE shipping in the USA!